Located in Miami, Brickell is a metropolitan neighborhood that was originally settled in the mid-19th century. It became historically known as “Millionaire’s Row” after Mary Brickell built several mansions along the famed Brickell Avenue. 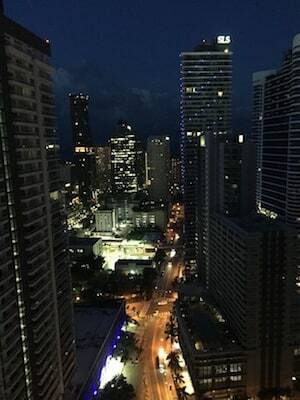 Currently, Brickell is a collection of high-end hotels, upscale homes and apartments, and office towers and represents one of the largest financial districts in the country. It is the center of banking and investment industry in Miami, as well as home to many of the state’s foreign consulates. The active city lifestyle, along with the warm weather, draws visitors and tourists alike to enjoy the outdoors. Brickell has 56,681 residents with 74% of its workforce in white collar jobs. The community is highly educated as compared to the national average with over 50% of its population receiving a Bachelor’s degree or higher. Each year, residents from Brickell are victims of accidents. Personal injury claims often result when a person is injured in an accident that is caused by a negligent or reckless act of another. Personal injury claims can arise from injuries incurred in accidents involving a slip and fall, at the workplace, or with a motor vehicle. Claims may also arise as the result of defective products, medical malpractice, or incorrect product labeling. Injuries incurred can be extensive, possibly even fatal. If you have been the victim of an accident, contact the Brickell Personal Injury Lawyers at the Wolfson Law Firm. Accident victims often have injuries that impact their ability to work and may incur high medical costs. Our Brickell personal injury attorneys can help answer your questions about paying for medical treatment and recovering lost wages. If you or a loved one has suffered injuries or a fatality as the result of a personal injury accident and would like to speak to our Brickell personal injury lawyers, contact The Wolfson Law Firm at (305) 285-1115 for a free consultation. Why Contact a Personal Injury Accident Attorney for a Brickell Accident? If you have been injured in an accident through no fault of your own, contact The Wolfson Law Firm at (305) 285-1115 for a free consultation. Personal injury claims are often associated with motor vehicle or slip and fall accidents. However, they can also arise from defective or mislabeled products. Brickell product liability cases may be brought in accidents involving motor vehicles, personal care products, tools, pharmaceuticals, among others. Product liability claims often deal with three types of defects which include design, manufacturing, or marketing defects. Injuries may result from products that are defective or mislabeled. Motor vehicle accidents could occur due to faulty parts or workplace injuries may be the result of defective tools. Defective personal care products or pharmaceuticals could cause burns or scarring. Accidents occurring from product liability claims can be serious, even fatal. Defective products can cause bodily injury that may result in high medical costs and an inability to work. Seeking representation will help personal injury accident victims to receive the compensation needed to recover from the accident and restore their lives. If you or your loved one has been the victim of a personal injury accident, contact the Brickell personal injury accident lawyers at The Wolfson Law Firm at (305) 285-1115 for help. The Brickell personal injury accident attorneys at The Wolfson Law Firm can help you and your family to get on the path of recovery. We can answer your questions. We can help you get the justice and compensation that you deserve. Call us today.